We will train your personnel or we can train your customer's personnel on behalf of your company. Included is performing a needs assessment, preparing the training program customized to your company needs, examining the trainees, awarding certificates to successful trainees and, of course, evaluating satisfaction with the training and its effectiveness. Do you have some other area in your mind that your personnel would need to be trained in? Contact us. You will not be disappointed! we have prepared and carried out a series of CMT trainings (Commercial Management Training), designated for improving trainee skills in selling, negotiating, working within a team, solving problems, preparing a presentation, introducing the proposed solution to the company executives. we have trained U. S. Steel Košice employees, who were assigned by the company as developers and trainers of the CITE program (Continuous Improvement To the Environment) intended for increasing environmental awareness of all U. S. Steel Košice employees. we have arranged training about project management for employees of the Engineering department in U. S. Steel Košice. we have provided several operator and maintenance personnel trainings for new processing lines. 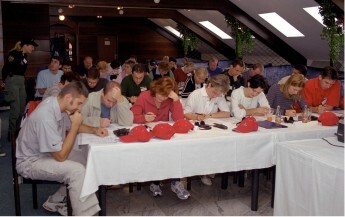 These trainings required a close cooperation with equipment suppliers from foreign countries, studying operating processes and machinery, understanding the knowledge level of employees set to work on the new lines, preparing manuals, training employees and examining the understanding topics taught.